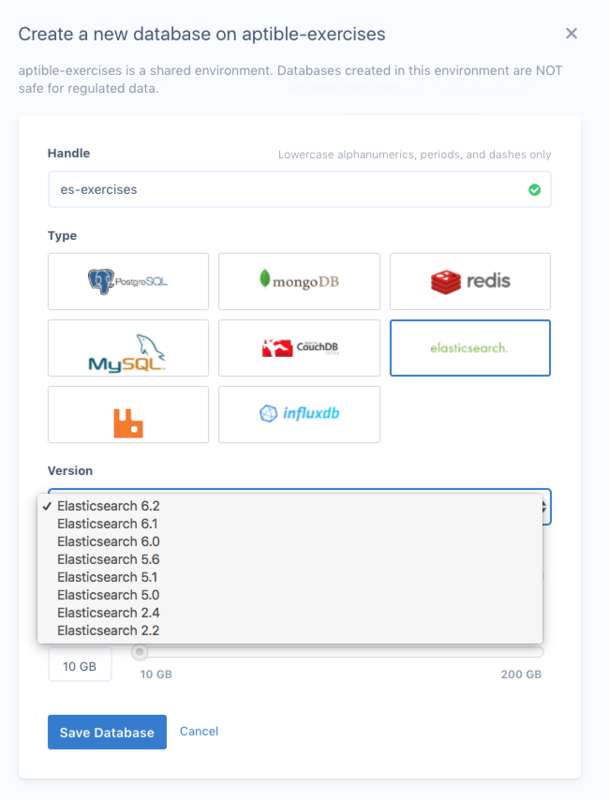 We’re proud to announce that Elasticsearch 6.2 is now available on Enclave. You can choose Elasticsearch 6.2 when creating a new database, and it is also the default. Please refer to the aptible/kibana README for additional information, including instructions for deploying a new Kibana app.